Usually this early in the season, “measuring stick” games come far and few. But in terms of the Islanders tonight, it was staring them right in the face. 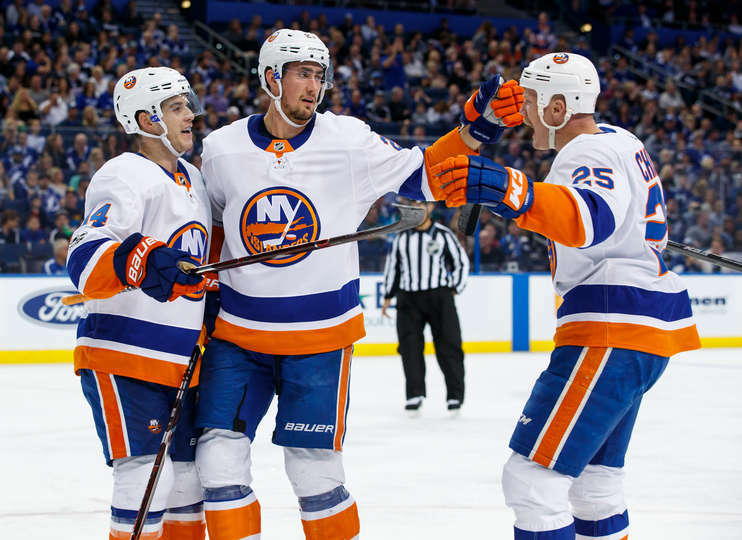 Winners of eight of their last 12, the Isles were down in Tampa for a pivotal Eastern Conference showdown with the Lightning. Tampa Bay has run roughshod over their opponents since the season began, so Doug Weight and Co. knew they were going to have their hands full. On the first night of a back-to-back, the Isles were victorious 5-3 in a statement esc victory. The offense was buzzing all night, and Thomas Greiss stood on his head again. New York has now won three in a row and will look to make it a clean sweep this weekend when they head to Carolina for a 5PM matinee tomorrow afternoon. The best hits from tonight’s huge win can be found here.